They must put something in the water in Wales. How else do you explain the sheer breadth of musical talent that has rolled gently out of the valleys in the last 50 years? Huge stars born and made by a steadfast cultural heritage and tradition. 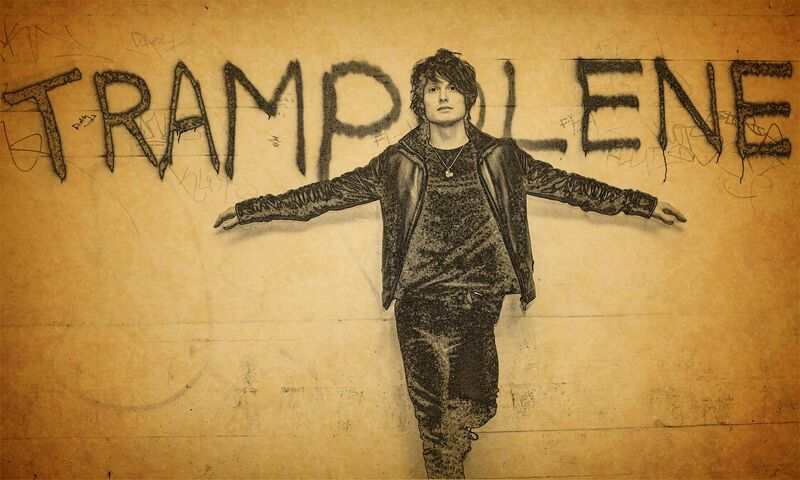 It is from the same melting pot that forged legends like Shirley Bassey and Tom Jones that an unassuming lad from Swansea beat the odds of his education to become poet, singer/song writer and rising star of alternative rock band, Trampolene. One of the bands booked by Popped Music to open up at the forthcoming Hope & Glory Festival on their main stage too no less. Jack Jones (no relation) now lives in London. Together with best mates Wayne Thomas (bass, vocals) and Rob Steele (drums, vocals) he packed up his life in Wales to move his ideas and dreams to the capital. A risky move for three fledgling adults with no money or backing from the industry. 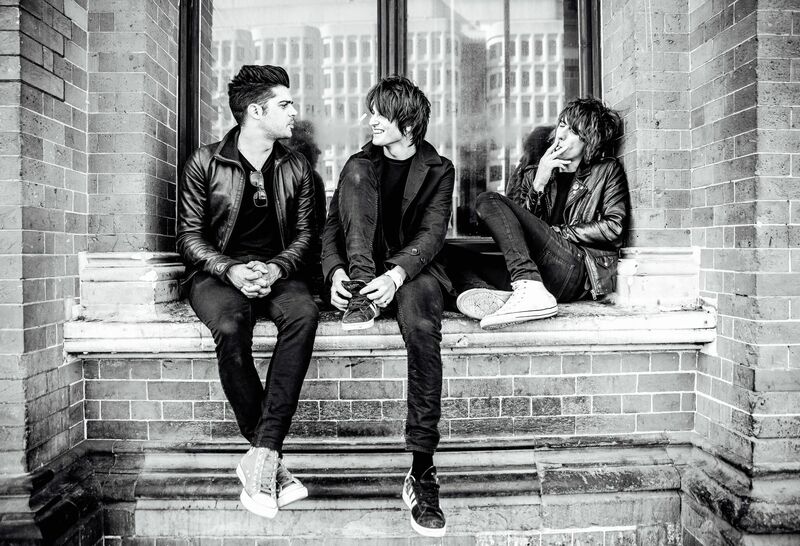 Far indeed; in just a few short years Jack and Trampolene have gone from three unknown broke guys clinging to a dream to living it, releasing six EPs, touring with the Libertines and Puta Madres and more recently a sold out Trampolene European tour. With their full-length debut album due out in September 2017, we caught up with front man Jones outside of Specsavers to find out how he bought his vision to life. It’s a strange picture to puzzle but Jones’ association with Peter Doherty started with poetry. “When I started learning the guitar, music was everything. I would practice over and over again in my bedroom, playing songs for my teenage crush who never loved me, just to try and impress her. I didn’t have a good time at school. I couldn’t read or write so I played up, I guess you could say I was bored and frustrated that I wasn’t being taught the way I needed to learn. What started as a vehicle for song writing soon began to crystalize as poetry that no longer required a melody to sing. In 2015 Jones performed his poetry at The Great Escape Festival, Brighton and Bring the Ruckus, London gaining national recognition in the Guardian and NME as well as industry support from the likes of Dr John Cooper Clarke. Jones’ approach to song writing and the written word was changing and this in turn, influenced the direction of Trampolene as the spoken word and rock and roll came together to create the articulate sound found on EPs such as the recently released Beautiful Pain. This feels like a far cry from the school boy that couldn’t read or write. The result of this lifetime opportunity was Jones becoming The Libertines official tour poet and playing guitar with Puta Madres. He has fond memories of the experience. Playing backup to a character like Doherty might have proven too much for some frontman egos but not Jones. This humble enthusiasm for music, language and life itself is infectious but even Jones admits that success isn’t always guaranteed for even the most talented artists. “Perhaps I am a bit cynical about the music industry and I wish I could say something different but it is pure nepotism. From what I have seen it is all who you know and backhanders. When I came to London I had a naivety, which I guess worked as a weapon along with our unwavering work ethic. But it really is all about contacts and that’s difficult to break into as three guys from Wales. “There is a scene underneath all the money thrown at pop, a scene for guitar music and bands like Trampolene and I guess if you make a big enough noise in that underground scene you become unavoidable in the mainstream. Trampolene are one of those bands that have made it. With a growing fan base and those all-important growing networks, it might be easy to be complacent about those early days of grafting. Jones however keeps his feet firmly on the ground dreams of a more just future for young people making their way in this crazy new world. 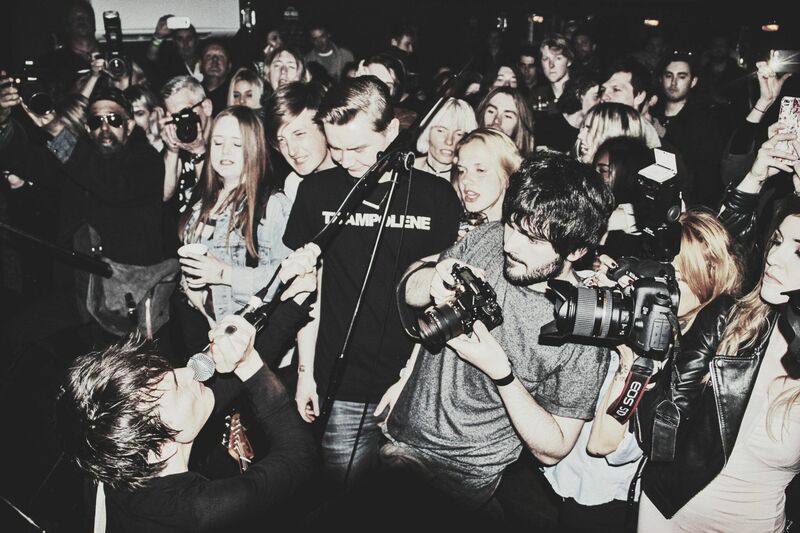 So aside from inciting riots back in his home country, what else is in the pipeline for Jack Jones and Trampolene? I leave Jack heading back to his bedroom, a padded cell covered in pictures of Dylan Thomas.